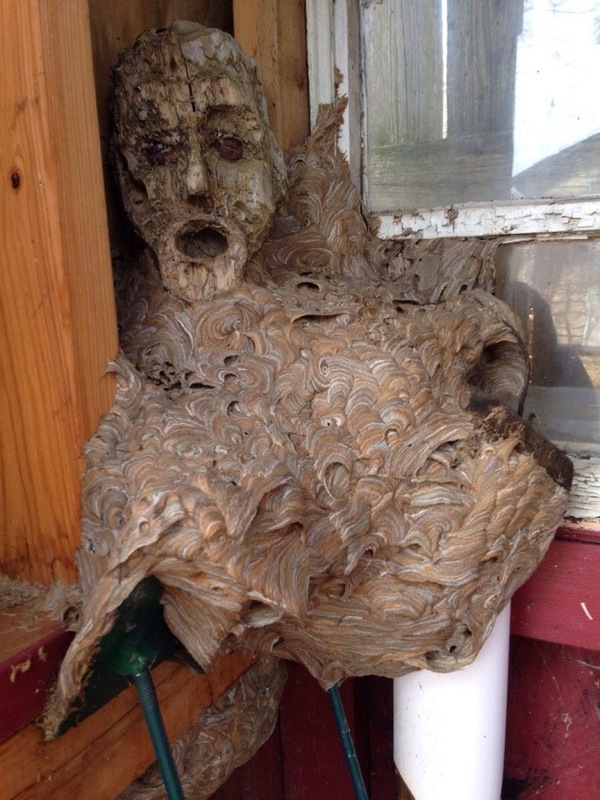 A wasp nest merged with this wooden statue to form... your darkest fears. This was discovered by Redditor CountBubs. And here's the caption that follows this terrifying image: "An abandoned hornet's nest my dad found in his shed that he hadn't been in for a couple years. The head is apart of a wooden statue it fused with."